As the week begins we may find ourselves still feeling as if we’re swimming in a lane of liminality, with a veil of fogginess surrounding us. It may seem that honing in isn’t the key for dispersing haziness, that the more we try to only rely upon our rational minds, the more we may feel like we’re Alice meeting the White Rabbit, dealing with situations that seem to mix up and confuse what we perceive to be rationality. Since Aries and the New Moon both symbolize the ushering in of beginnings, this lunar event may have us feeling pulled towards initiating new things. For example, if you’re looking to kick off a diet or amp up your exercise regimen, the exuberance of palpable energy that the Aries New Moon affords may be a great motivator. Also, if you’ve wanted to tackle a problem but found yourself lacking in the moxie department, the Aries New Moon may give you an infusion of courage and daring that can help you persevere. HBD, Aries! Enjoy your birthday bouquet! Your AstroBotanica bouquet captures your sign’s willful, energized, and passionate nature. You’re instinctive, pioneering, and love the thrill of starting new things. A warrior at heart, you thrive on fighting for what you desire. The past three weeks, since Mercury has been retrograde, we’ve had an opportunity to revisit terrain already traveled. It’s been a time in which we’ve become reacquainted with ideas, concepts, and conversations that have already passed through our field of awareness. As the week begins, we’re still floating in a sea where things feel dissolved and connected, where separation may feel like an illusion. This yielding may yield experiences that touch upon the magical and yet they can also yield feelings that touch on the overwhelming, as if we feel a moment away from the tides of emotions overtaking us. Find a way to keep your heart open and compassionate while also maintaining a steady state as you ride the waves of the ever-connected. I’ve been thinking a lot about the notion of vision. We think about vision as the ability to see, to use our faculties of sight to perceive things in our environs. In this way, vision is connected to the manifest and to the present. Mercury Retrograde can be a great time for retracing our steps so that we can gain the insights integral moving forward in our lives with more clarity and awareness. The Rise & Shine recently asked me how it may also impact our sleep and dreams, a realm in which I am so interested, and so I was thrilled to share my perspectives. U-Turns and You Turns: this feels like one of the poignant themes for the week. 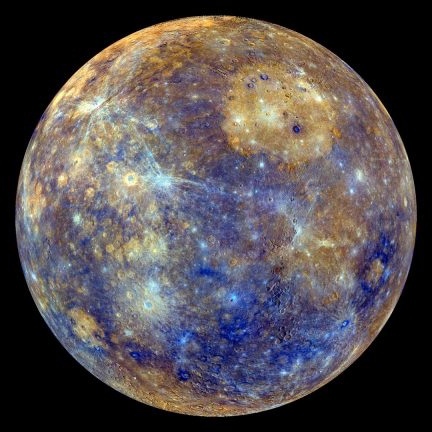 It is mirrored in Mercury beginning its three-week retrograde cycle on Tuesday, a time when it appears to shift directions, doing a U-Turn of sorts when the retrograde begins. And as the planet of communication orients in a new direction* so should we. When Mercury does a U-Turn, it also seems to behoove us to do the same: to look at things from a new angle, to retrace our steps, and to appreciate that we are in a period where things are moving in a different direction. The yearly Pisces New Moon offers us an opportunity to initiate new ways in which we can dive into our well of compassion, our artistic nature, and our knowingness that we are a reflection of and connected to everything. We may open into that Piscean space where boundaries disappear and empathy flows. It invites us to allow, surrender and go with the flow.